Whether you believe the robots are coming or not, the fast-paced growth of technology and its effect on industries in Chattanooga will continue to disrupt the workplace in 2019 and beyond. From the "Dynamo of Dixie" to "Gig City," Chattanooga is not new to remaking itself in the face of disruption, and local stakeholders have begun preparing for this change that has already crept into some of the city's age-old industries. From the introduction of new technologies to making sure the future workforce is prepared for jobs that haven't even been created yet, Chattanooga continues to leverage community resources in ways that other small and mid-sized cities aren't doing yet, officials say. 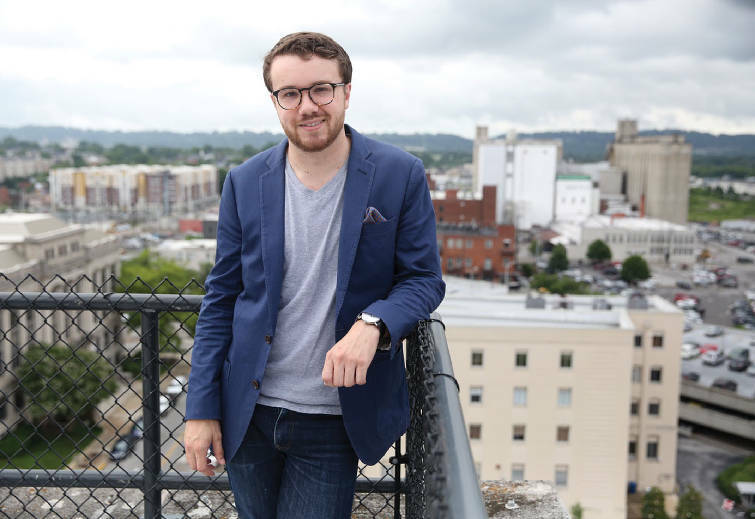 "Chattanooga is doing things that other cities will see in 10 to 15 years, " says Geoff Millener, digital equity officer with the Enterprise Center. "We are that place where what the future looks like is already happening. It's a place of privilege and responsibility." WorkingNation, a national nonprofit dedicated to closing the job skills gap caused by changing technology, reports that for 60 percent of all jobs, at least one third of the activities could be automated. The media content provider also estimates that in just 10 to 15 years, roughly 65 percent of current primary school-age children will work in jobs that don't exist today. Through the Enterprise Center, Millener works closely with local schools to connect teachers and students to the state-of-the art technology available in Chattanooga. Through the 4K Microscope program, students at the STEM School of Chattanooga, Red Bank High School and Howard High School can use the power of ultra-high-definition video over Chattanooga's gigabit internet connection and a $55,000 microscope to stream and view microorganisms — an advanced technology not seen in any other schools nationwide. The National Science Foundation, Mozilla and US Ignite are all funding partners of the 4K Microscope program, which is just one of a handful in local schools that are made possible by EPB's fiber optic network. To Millener, Chattanooga's ubiquitous fiber network and incredible social network makes the city a prime spot for experimenting in real time in the community and not in a "tech bubble." "We don't expect our students to cure cancer tomorrow, but if what they are using in their courses is the same thing as the people who are right now trying to cure cancer, we have closed that skills gap," Millener explains. The need for collaboration and partnership among organizations will be critical in the future, as well, WorkingNation reports. Examples of collaboration can be found weekly in the Scenic City, though. The list of public and private partnerships in the city is long and should continue to grow this year from Hamilton County Schools' Future Ready Institutes to the Company Lab (CO.LAB), Unum and Erlanger Health System launching a business accelerator program for health care ventures in the spring. Mina Sartipi is a graduate-level faculty member at University of Tennessee Chattanooga's College of Engineering and Computer Science, and she said groups cannot fully leverage the technology out there and create better spaces "for all" while still working in silos. Sartipi is also the director of the The Center for Urban Informatics and Progress, or CUIP, which is an independent research entity housed at UTC designed to help Chattanooga be one of the worldwide leaders in Smart City research. CUIP will combine UTC and UT system resources, collaborate with EPB, TVA, Siskin Hospital, Co.Lab, the Enterprise Center and the city of Chattanooga, among others, while also conducting research with national groups such as the U.S. Department of Energy, the National Science Foundation, Oak Ridge National Laboratory and other universities. One of their first projects involves installing recording devices and other sensors to a road corridor on M.L. King Boulevard that stretches from EPB's headquarters off Market Street to the CUIP center at M.L King Boulevard and Peeples Street downtown. The devices will delete any recordings after 30 minutes, according to Sartipi, who has held community meetings to make sure residents in the area understand they are only saving "events," like the kind of object that passes — a pedestrian, a car or a bike — and when. "The final goal is to benefit citizens whether directly or indirectly," Sartipi says. "We want to have solutions that make the city more accessible and more efficient for all." While being a smarter city is not unique to Chattanooga, Sartipi said the city would be considered one of the frontiers in Smart City research. She said the city is unique in the community engagement it has encouraged since its start, though. "Our goal is to not bring people afterward," Sartipi says. "We all want to sit at the table and make the decision — to talk about it from the very beginning and bring up the problems together." Across industries this year, more and more organizations will look to collaborative efforts that harness the technology already in place to prepare locals for the future. As Millener puts it, Chattanooga is a city with infrastructure that fundamentally connects people. "Distance doesn't matter," he says. "Technology has the capacity to vastly expand the world and our experiences, but it also has the capacity to shrink it."